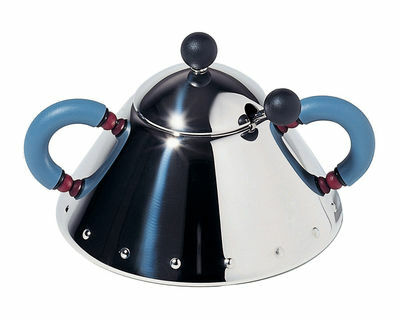 Definitely modern and refined, this sugar bowl lies within Michael Graves' line created for Alessi. Make-up your set and associate him to the units of your choice : tray, cups, creamer, kettle. An essential collection.